Her calf born dead - you can take possession of Hanna now. * i50K Genomics Tested and Parentage Verified. * Vaccinations are up to date. 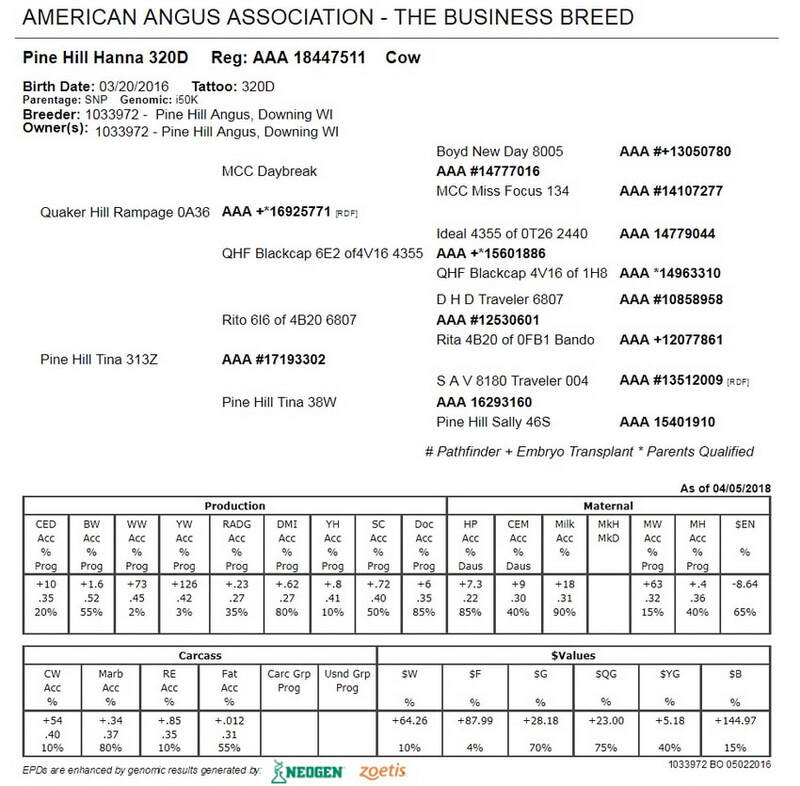 Pine Hill Hanna 320D achieved a Weaning Ratio of 101 and a Yearling Ratio of 101. VERY gentle. 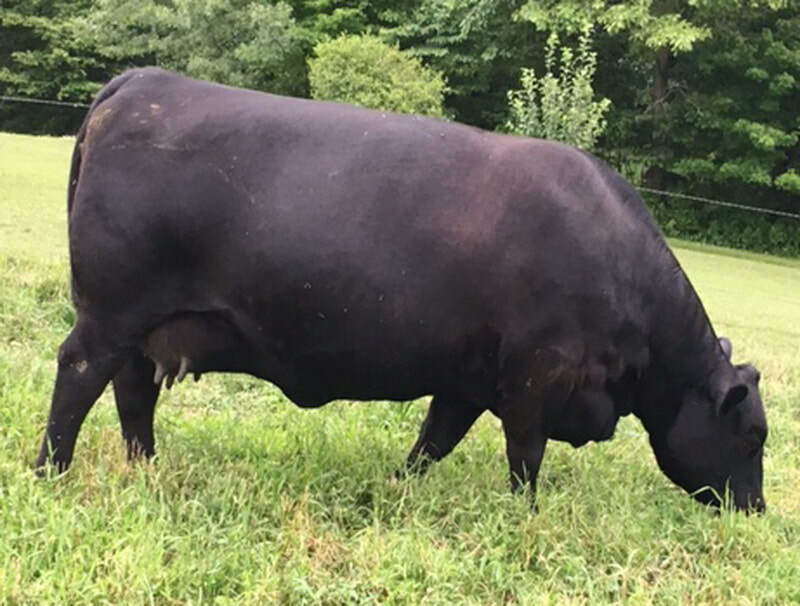 She is i50K Genomics DNA Tested for high accuracy EPD's PLUS Parentage Verification. Hanna is a first calf heifer (A.I. pregnant on first service) and is now A.I. pregnant, first try, with her second calf. 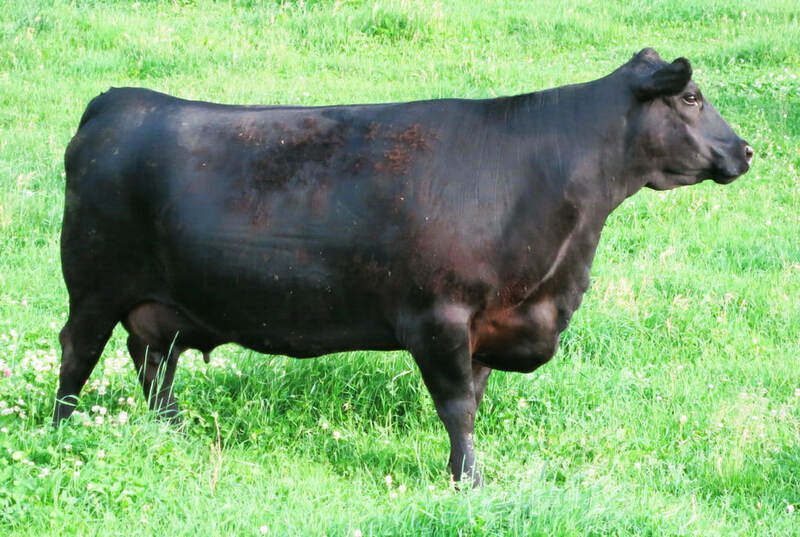 Her Dam has 5 calves and ALL are A.I. pregnancies on the first service. 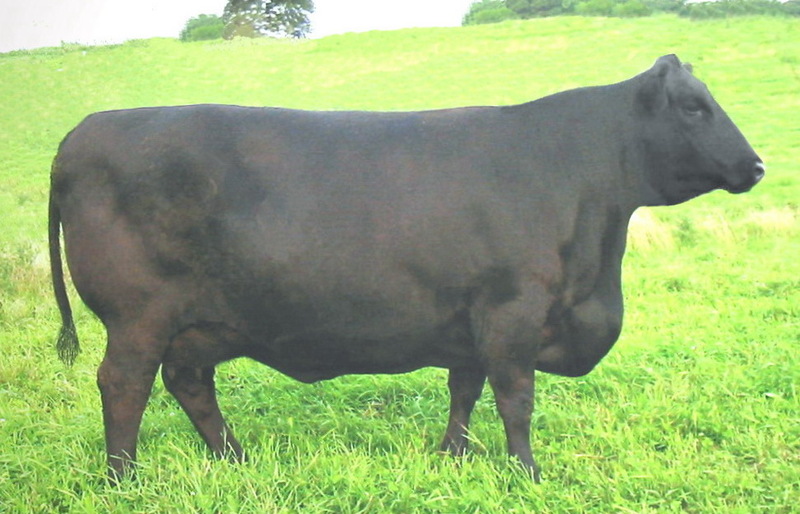 Hanna's pedigree traces back to CFF New Design 036 1367, our cornerstone, easy-fleshing Embryo Donor Cow. 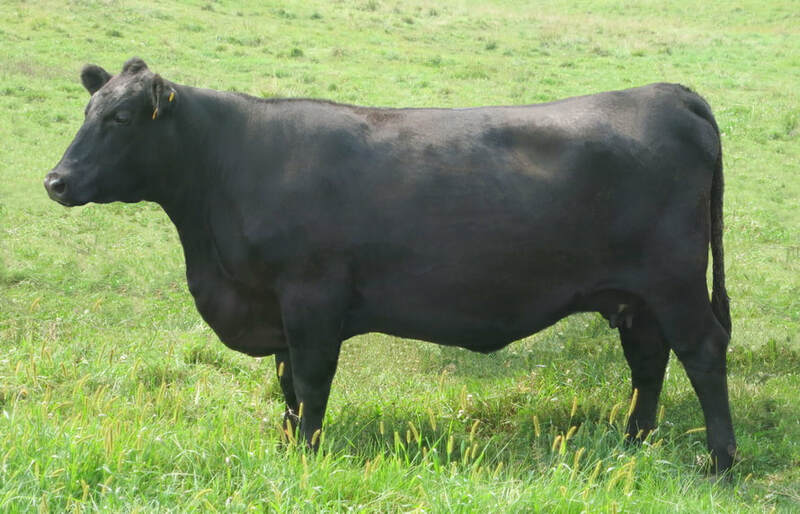 Her Dam: Pine Hill Tina 313Z earned a Weaning Ratio of 100, Yearling Ratio of 103. She achieved Pathfinder status in 2017. She is a direct daughter to the legendary and (now deceased) Rito 6I6 "The Disposition Bull". 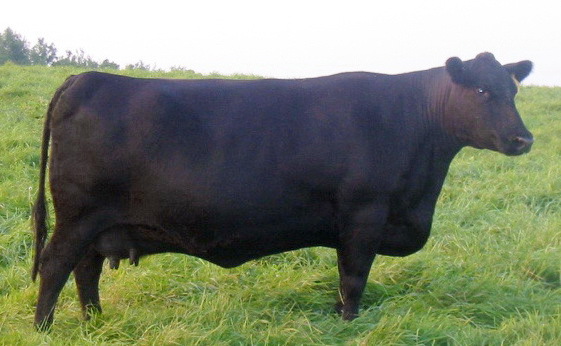 Her 5 outstanding calves are all A.I. pregnancies on the first try and show an average of 104 Weaning Ratio and 106 Yearling Ratio. Sire: QUAKER HILL RAMPAGE 0A36. 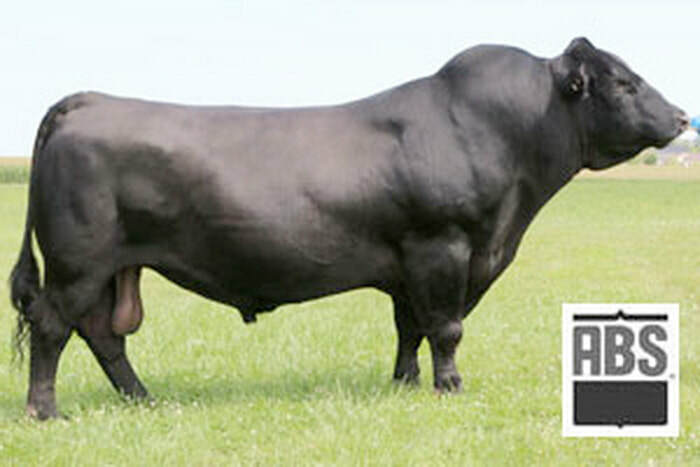 Rampage is a heavily muscled, powerfully constructed Daybreak son with incredible growth and performance. 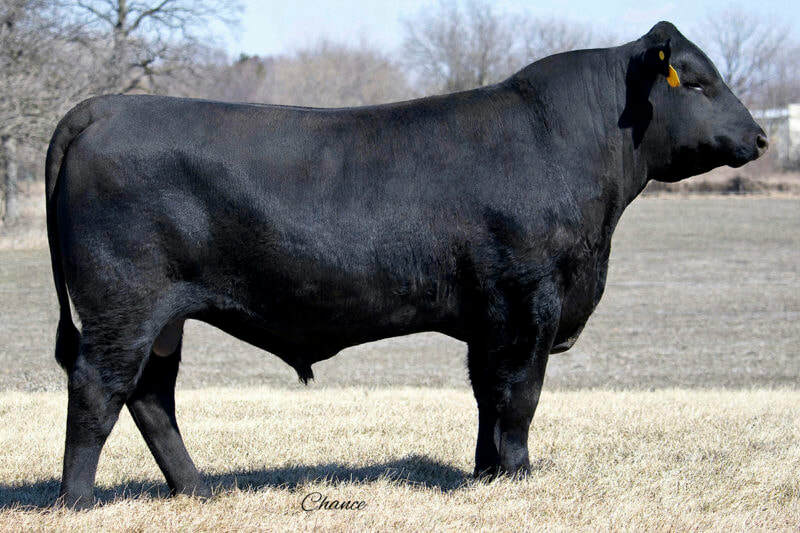 He is backed by the most impressive cow family in the Angus breed.